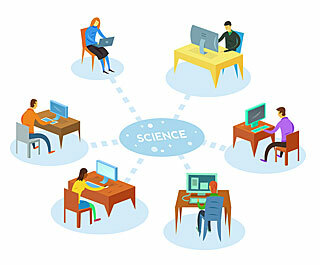 In recent years, scientists have become more active in explaining their research to the public. This open dialogue has helped to break down the notion that scientists live in an ivory tower. Now, many scientists are going one step further and recognising how the public can make important contributions to research. And, inspired by these efforts, some ‘citizen scientists’ are also working off their own initiative to contribute to science. For fantastic directories of astronomy- and space-themed citizen science projects, please follow these links to the Spacehack, Zooniverse and Scientific American websites. And for the latest news about citizen science initiatives, check out this dedicated blog on plos.org(The Public Library of Science), a non-profit organisation that also publishes several scientific journals. Here, professional and amateur astronomers often work together in small research teams. An alternative type of Pro-Am collaboration involves professional astronomers doing follow-up observations based on discoveries made by amateurs. 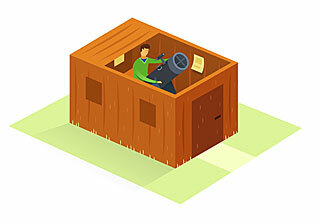 The magazine Sky & Telescope has lots of information on the latter in a dedicated Pro-Am section on its website, including details about an ‘AstroAlert‘ service – ”an e-mail news service to alert telescope users when significant celestial transients occur (or are predicted to occur) for which scientists are requesting CCD images or other observations from advanced amateur astronomers”. Furthermore, take a look at the Edgar Wilson Award, which offers a monetary award for comet discoveries made by amateur astronomers. The term ‘hacking’ has negative connotations, but a hack is just a quick solution to a problem. A science hack day is basically a marathon for scientific innovation: a 24- or 48-hour event (with people working throughout the night) to brainstorm a new concept that can benefit science and create a prototype before the end of the hackathon! The events are open to everyone and attract creative and scientific minds. 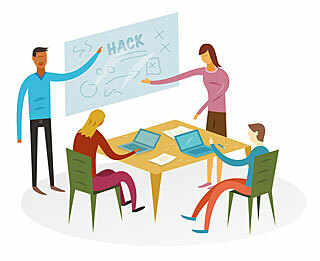 Guidelines for how to organise your own Science Hack day can be found here. Information on the NASA/ESA Hubble Space Telescope and NASA Chandra X-ray Observatory websites explain about how you can download observational data and create your own pro-standard astronomical images. In 2012, a competition called ‘Hubble’s Hidden Treasures‘ was launched, in which the public was invited to scour Hubble’s vast archives of data to uncover a hidden gem of a raw image that hadn’t been given the image processing treatment and enjoyed by people around the world. 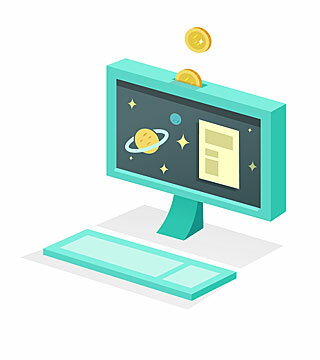 There are many crowd-funding platforms on the web, where you can help to financially support anything from the next big pop sensation to an entrepreneur with an invention. There are also some science-specific crowd-funding websites, such as FundaGeek and Petridish, that are worth browsing if you would like to donate money to science research or outreach activities that may otherwise never see the light of day. Such crowd-funding platforms offer financial backers various rewards for different pledge amounts. For example, the Petridish website states that backers will receive “early access to news about progress and findings, souvenirs from the field, acknowledgements in journals, naming rights for new discoveries, or the ability to join an expedition in person”. Professional astronomers are becoming increasingly aware of how amateur astronomers can make valuable contributions to their research. For example, amateurs can undertake long-term observational studies that wouldn’t be feasible within the time that they are allocated at professional observatories, and considering the demanding nature of their work. Furthermore, telescopes with small apertures are better suited to some studies. An alternative type of Pro-Amateur (or ‘Pro-Am’) collaboration involves professional astronomers doing follow-up observations based on discoveries made by amateurs. The magazine Sky & Telescope has lots of information on this in a dedicated Pro-Am section on its website, including details about an ‘AstroAlert‘ service – ”an e-mail news service to alert telescope users when significant celestial transients occur (or are predicted to occur) for which scientists are requesting CCD images or other observations from advanced amateur astronomers”. Below is a list of some ongoing Pro-Am collaborations. If you would like to add a project to the list, please contact us. BRAMS is a Belgian radio network, which consists of about 25 stations run mainly by radio amateurs, including the network of the Belgian Association of Amateur Astronomers (VVS). One station in Humain (at 60 km from the beacon in Dourbes) hosts an interferometer. The main goals of BRAMS is to calculate meteoroid fluxes and to retrieve trajectories of meteors. This database, part of the European Virtual Observatory and led by the Paris Observatory, has been online since 2007, with information fed by professionals and amateur astronomers. The tool ArasBeam is an online page that helps the Be observers to choose the most urgent objects to observe. An international Pro-Am group dedicated to the physics of massive stars. The aim of the group is to organise long-term campaigns on photometry and spectroscopy. The group is open to both professional and amateur astronomers with an interest in this field. The purpose of this site is to automatically support external beacon operator submissions of data, as well as external operator/educator/public access to the archived beacon data of the following satellites: GeneSat, PharmaSat, O/OREOS, and NanoSail-D.